In written testimony submitted to the House Transportation and Infrastructure Committee, Subcommittee on Water Resource and Environment hearing on the “Cost of Doing Nothing,” the American Association of Port Authorities (AAPA) calls on Congress to invest in critical landside and waterside connections to seaports, fully utilize HMT revenues and implement a long-term funding solution for port maintenance.“Landside and waterside investments are critical to building America’s 21st century seaport infrastructure. The hearing will be in Room 406 of the Dirksen Senate Office Building, Washington, D.C. Its purpose is to consider the Diesel Emissions Reduction Act (DERA) of 2019, and to hear input from stakeholders about implementation of the DERA program.In his prepared remarks, Kurt Nagle shares examples of several ports that have received DERA grants, including the latest one last month in which the EPA awarded a DERA grant of $400,000 to the Alabama State Port Authority to replace a 1982 locomotive with a Tier IV locomotive engine. 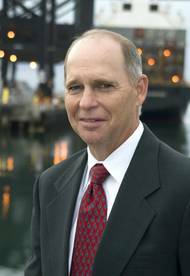 Long-time president & chief executive officer of the American Association of Port Authorities (AAPA) trade association Kurt J. Nagle announced today that he plans to retire next fall, following more than 33 years of service to the port industry.Nagle began his work at AAPA in 1985 as the membership services director, following seven years at the National Coal Association and Coal Exporters Association. 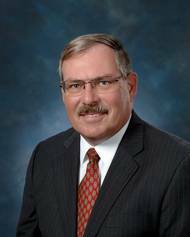 In 1995, he was appointed AAPA’s president & CEO, a position he has held for 23 years. Trade Association Releases Freight Report on Multimodal Funding Needs of U.S. Seaports. In a just-released report, U.S. port authorities identified more than $20 billion in projected multimodal port and rail access needs over the next decade, while one-third cited pressing rail project needs costing at least $50 million for each of their ports. Sixty-seven percent said that funding and financing options are the biggest obstacles in getting essential rail projects started to access their facilities. 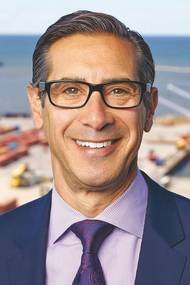 Friedman is Port of Cleveland's President & CEO. 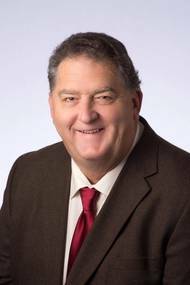 At its 2018 Spring Conference on March 20, the American Association of Port Authorities (AAPA)—the unified and recognized voice of seaports in the Americas—elected William D. Friedman, president and chief executive officer for Northeast Ohio’s Cleveland-Cuyahoga County Port Authority, to serve as the association’s chairman of the board for the 2018-19 activity year that begins in October. Mr. Friedman is slated to be installed as chairman for a one-year term on the final day of AAPA’s 2018 Annual Convention, set for Oct. In his first State of the Union address before a joint session of Congress, President Donald Trump called on Congress to pass an infrastructure bill that generates $1.5 trillion in infrastructure investments and streamlines permitting for major capital projects from 10 to two years, or possibly less. In his focus on America’s “crumbling infrastructure,” the President placed a heavy emphasis on safe, reliable, modern transportation infrastructure, including roads, bridges, highways, railways and waterways. The American Association of Port Authorities’ (AAPA) entire membership in North, South and Central America and the Caribbean will celebrate Western Hemisphere Ports Day on Tuesday, April 4. On this annual celebration, the association will recognize the industry’s role in supporting job creation and propelling the economies of the nations they serve across the Americas. “As the unified and recognized voice of the port industry in the Western Hemisphere, AAPA is excited to continue to share its story around the globe,” said Kurt Nagle, AAPA’s president and CEO. 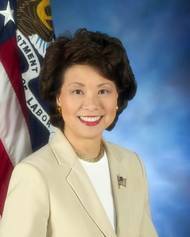 The American Association of Port Authorities (AAPA) – the recognized and unified voice of America’s seaports – is encouraged by the release yesterday of the infrastructure investment outline by Senate Minority Leader Chuck Schumer (D-NY) and Senate Democrats, especially the recognition that ports and waterways play a vital role in our nation's economy, jobs and supply chain. America’s seaports, each of which are international trading hubs, are vital economic engines to their community, their region and the nation. 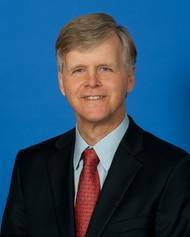 Seaport cargo activity accounts for 26 percent of the U.S.
Mark McAndrews, port director of the Mississippi’s Port of Pascagoula, was formally installed on October 26 as the 2016-17 chairman of the board for the American Association of Port Authorities (AAPA), the voice of seaports in the Americas. 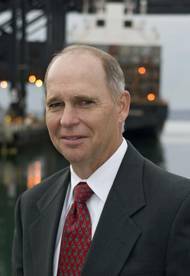 As AAPA chairman, he succeeds Jim Quinn, President and CEO of Port Saint John in New Brunswick, Canada. 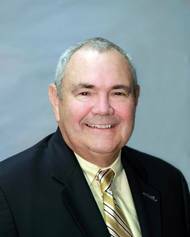 McAndrews accepted his new chairmanship duties at a membership meeting in New Orleans, La., during which the entire slate of 2016-17 delegation officers and board of directors were inducted as part of AAPA's 105th Annual Convention. On the heels of entering into a Memorandum of Understanding in June to provide mutually-beneficial educational and professional development opportunities to help students and port professionals, the American Association of Port Authorities (AAPA) and Lamar University on Oct. 26 will sign a program agreement that reflects their shared commitment in preparing port industry professionals and leaders for future opportunities and challenges. The agreement will be signed at 9:00 a.m. on the final day of AAPA’s 105th Annual Convention and Expo, in New Orleans, Oct. 23-26. The Port of Houston Authority and Port Corpus Christi, in conjunction with the American Association of Port Authorities (AAPA), will hold separate freight industry “Influencers Roundtables” on Aug. 17 (at the Port of Houston Authority) and Aug. 18 (at Port Corpus Christi), followed each day by a tour of that port. 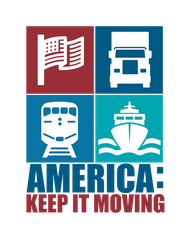 Titled, “Freight: Keep it Moving,” the two port forums will bring together key thought-leaders throughout the transportation industry to explore critical issues facing U.S. seaports and discuss the increasing strain on the nation’s freight transportation infrastructure. The American Association of Port Authorities (AAPA)—the unified and recognized voice of seaports in the Americas — today is mourning the loss of one of Ohio’s most prominent politicians and citizens, George Voinovich, who died in his sleep early Sunday morning just weeks before his 80th birthday. According to AAPA President and CEO Kurt Nagle, the former Cleveland mayor, Ohio state representative and Ohio governor who later became one of the most popular U.S. senators of his generation, was instrumental in helping America’s ports enhance air quality in their communities. “Sen. 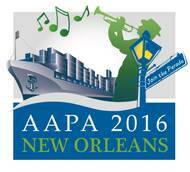 The Board of Commissioners of the Port of New Orleans is set to host the 105th Annual Meeting of the American Association of Port Authorities (AAPA), the largest gathering of Port and maritime professionals in the Western Hemisphere. The conference, scheduled for Oct. 23-26 at the Sheraton New Orleans Hotel, will include technical and policy committee meetings, business sessions and social networking for port professionals and marine transportation leaders throughout the four-day event.